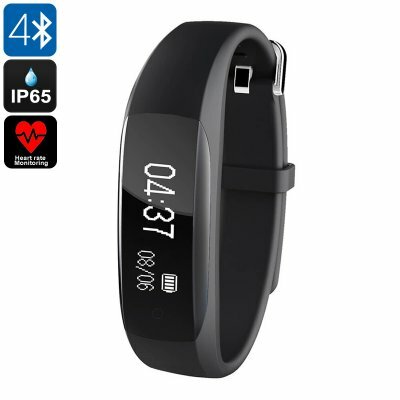 Successfully Added Fitness Tracker Lenovo HW01- Bluetooth 4.2, Heart Rate Monitor, Sleep Monitor, Pedometer, Call Reminder, IP65, 0.91 Inch OLED to your Shopping Cart. The Lenovo HW01 is a stylish smart bracelet fitness tracker that lets you keep track of your exercise levels throughout the day. Coming with sophisticated smart health and fitness features, this fit band supports you to work towards a healthier future. An accurate heart rate monitor keeps you constantly up to date about your heart rate whilst its pedometer provides you with accurate data on the distance you’ve covered, steps taken, and calories burned throughout the day. With all this health information at hand, this fitness band allows you to analyze your workouts and regular daily movement thanks to which you’ll be able to fully customize and adjust your upcoming sporting sessions to meet the fastest possible results. Coming with a skin friendly and soft silicone strap, this fit band forms a comfortable fit for anybody out there. Within its soft band, this fitness tracker holds a beautiful 0.91-inch display on which it constantly portraits the time, date, and requested fitness information – guaranteeing that you’ll always have the needed data at hand. With its stylish design and high-end features, this fitness tracker is the ultimate smart health accessory for anybody that wishes to work on a healthier future.